The Season 2 and Season 3 DVD releases of "Smallville" won an award at the 31st Annual Saturn Awards. Held in Los Angeles on May 3rd, the Saturn Awards were hosted by the Academy of Science Fiction, Fantasy and Horror Films. This year the Season 2 and 3 "Smallville" DVD collections won the "Best DVD Television Release" award. Unfortunately, none of the other nominees from "Smallville" won their categories. These included Tom Welling for "Best Actor In A Television Series", Michael Rosenbaum for "Best Supporting Actor In A Television Series", Erica Durance for "Best Supporting Actress In A Television Series", and Smallville for "Best Network Television Series". 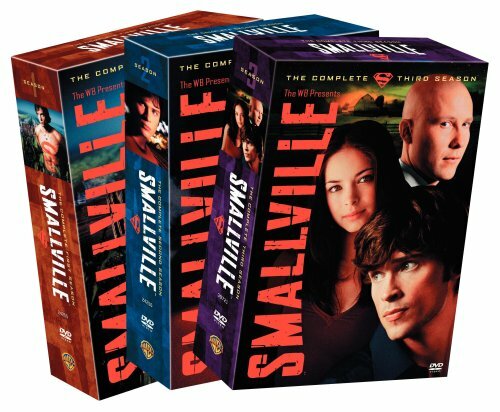 Fans can still order the award winning "Smallville" Season 2 and Season 3 DVD sets online.